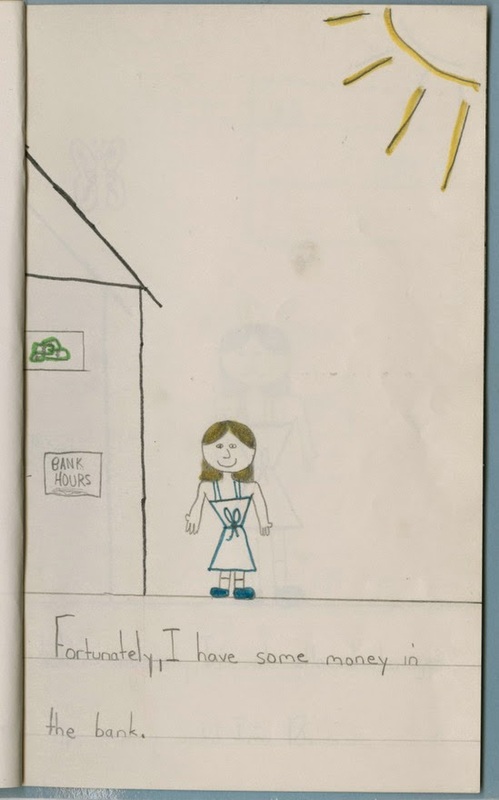 Awhile back, I shared a book I'd written as a kid called "You're in the Doghouse Now!" 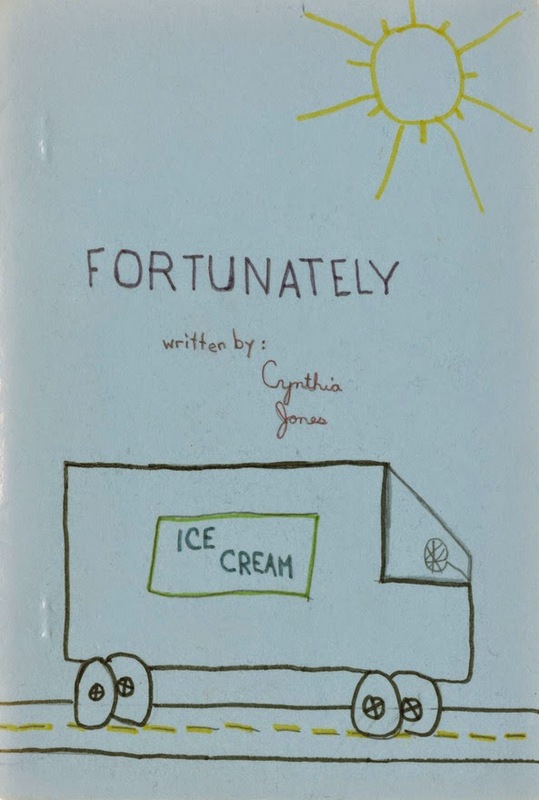 Today, we're taking another stroll back to approximately 1982 with another book I authored, somewhere around age 10. I remember working on it and how proud I was of it. It's called "Fortunately" and it's a gem. 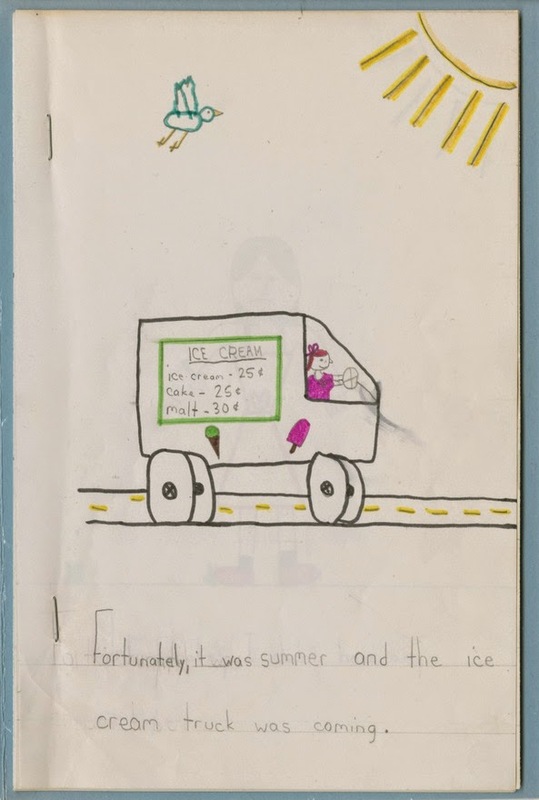 "Fortunately, it was summer and the ice cream truck was coming." 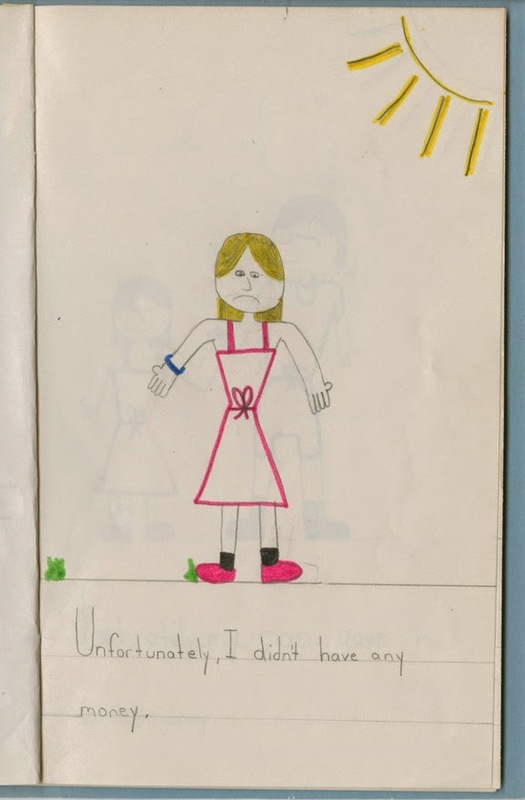 "Unfortunately, I didn't have any money." 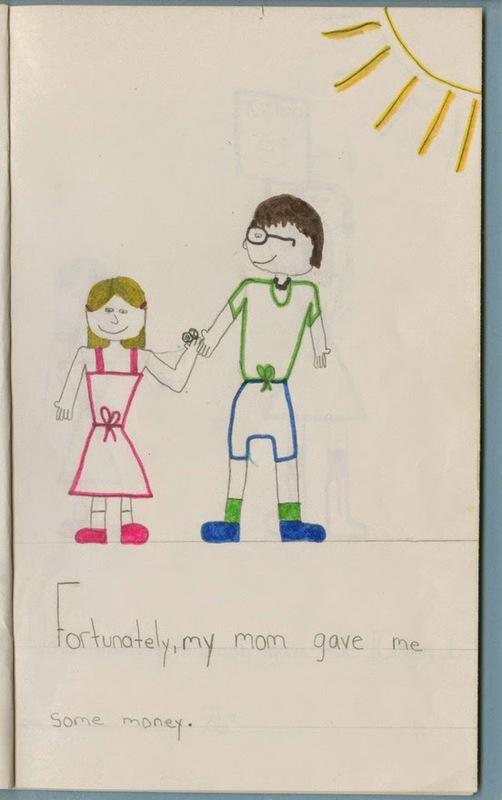 "Fortunately, my mom gave me some money." 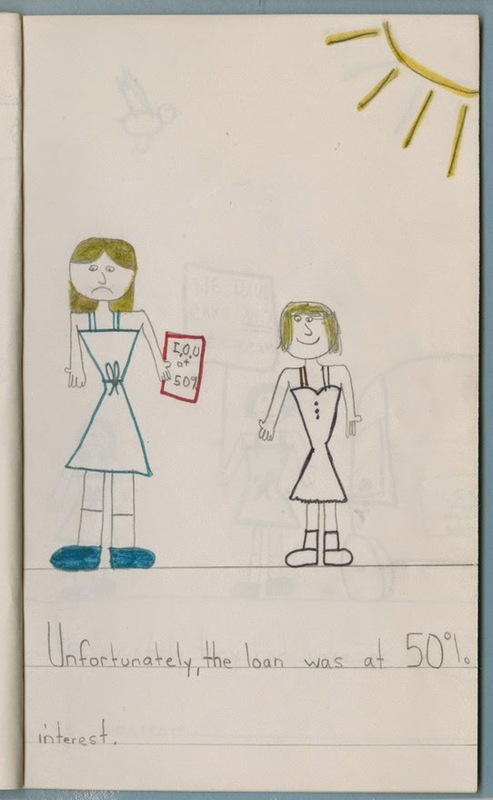 "Unfortunately, she only gave me 10 cents and ice cream costs 25 cents." "Fortunately, my sister loaned me some money to buy ice cream." "Unfortunately, the loan was at 50% interest." 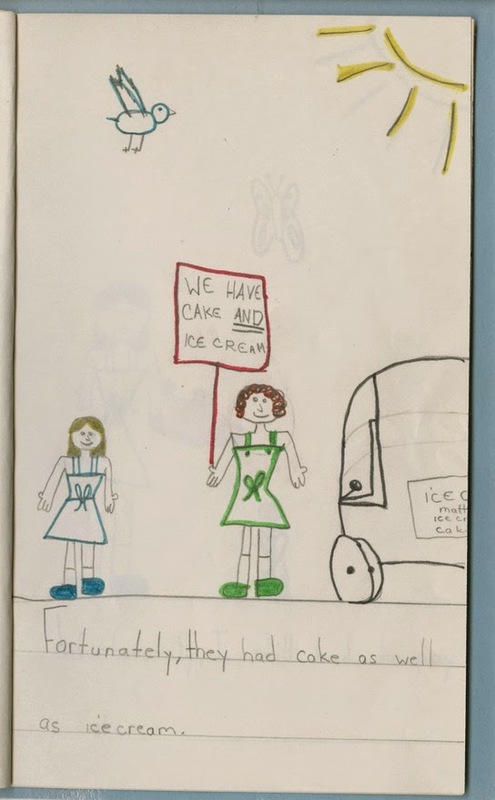 "Fortunately, they had cake as well as ice cream." 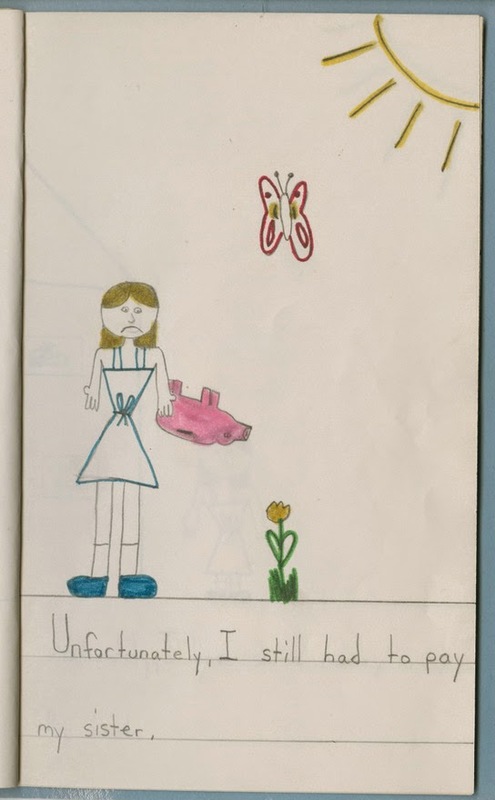 "Unfortunately, I still had to pay my sister." "Fortunately, I have some money in the bank." 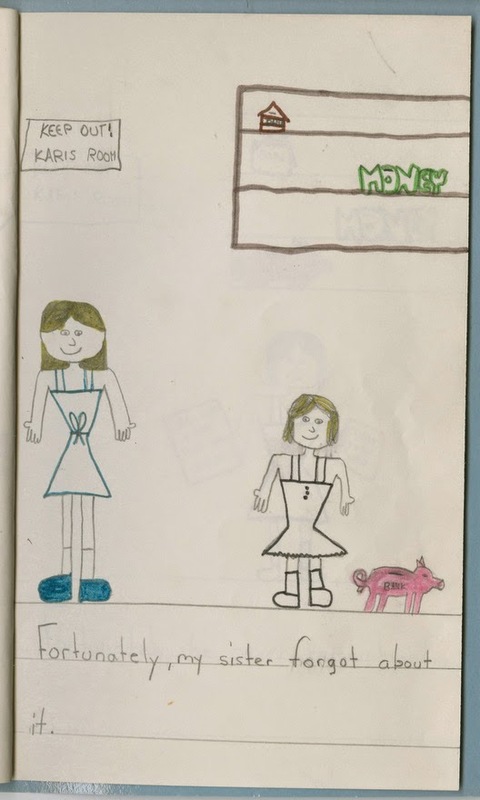 "Unfortunately, I'm not allowed to get the money until I'm 18." 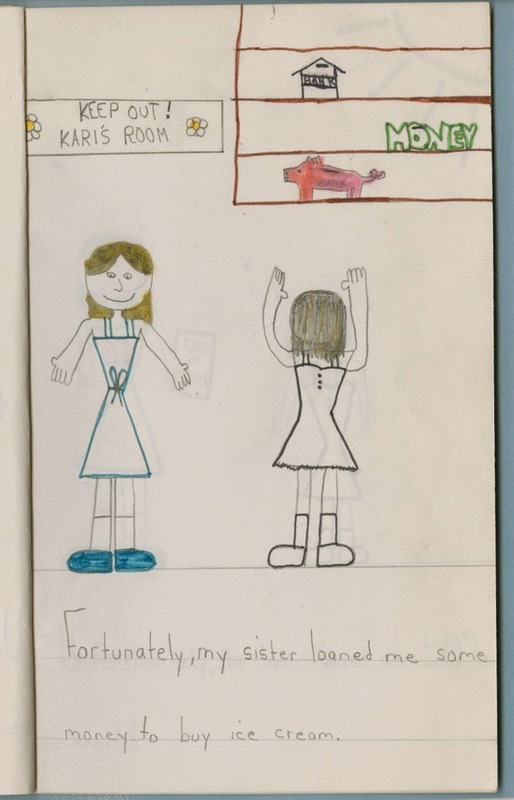 "Fortunately, my sister forgot about it." I love that my mom saved this all those years! 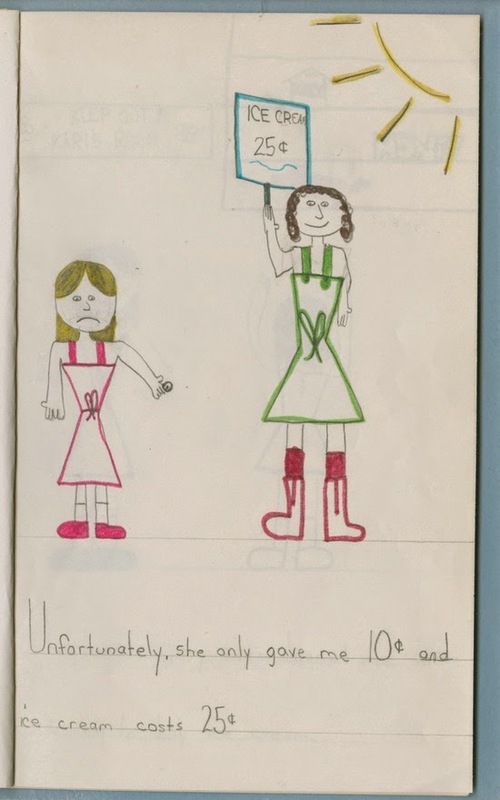 It's absolutely hilarious to look at my childhood drawings, and I love the story too. 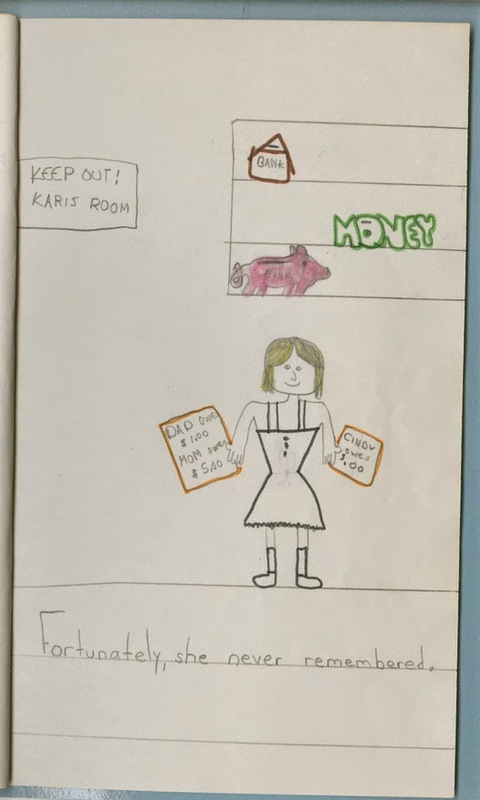 The funniest part about it is that I was the hoarding sister who would consider charging 50% interest on a loan and had a Keep Out sign on my door, while Kari never held onto money more than 15 minutes and had essentially no concept of privacy or personal space. I love that I reversed our roles in this story. 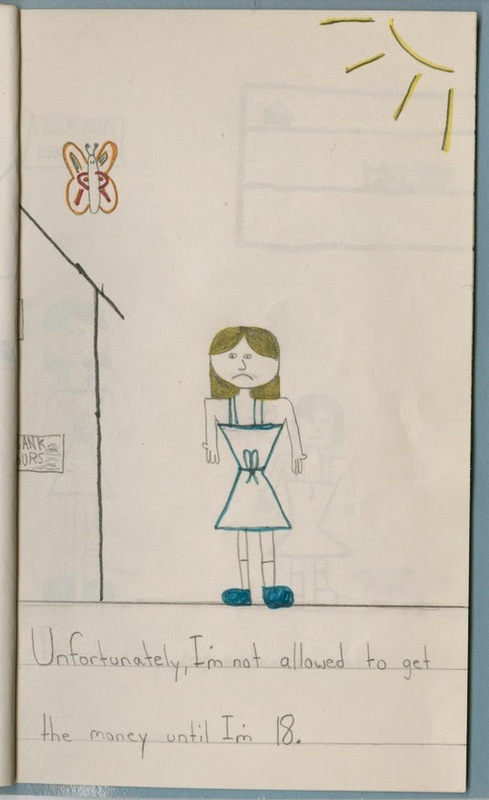 For the record, since I suspect she is reading this, the story is fiction and I do not owe my sister 15 cents with 32 years' worth of 50% interest. LOL!!! I love it!!! And I bet she might at least try and argue the loan, now that this has come to light!! HA!!! Tooooooooo funny!!!!!! Wow. Good thing it's fiction. $0.15 at 50%, compounded once per year over 32 years is $64,715.98! Hahahahaha....this was hilarious! Love the pics you drew and coloured.